Growing up in Akron, Ohio, as the youngest of five siblings — three of whom were brothers — Joanna Crumley learned a thing or two about surviving at the dinner table. "If you wanted seconds, you had to hurry up and eat," said Crumley, who lives in the Broadacres area. "I learned early on that if you wanted dessert or to eat something you liked, you needed to learn how to cook." Fast forward a few decades and those cooking skills manifested themselves on a national stage. This month the food professionals at General Mills announced that Crumley is a category winner in its 49th Pillsbury® Bake-Off® Contest. The winning dish, REESE's Piece 'O' Bliss Fudge, beat out thousands of other contesting dishes in the Sweet + Simple Desserts Category, one of four categories awarded. 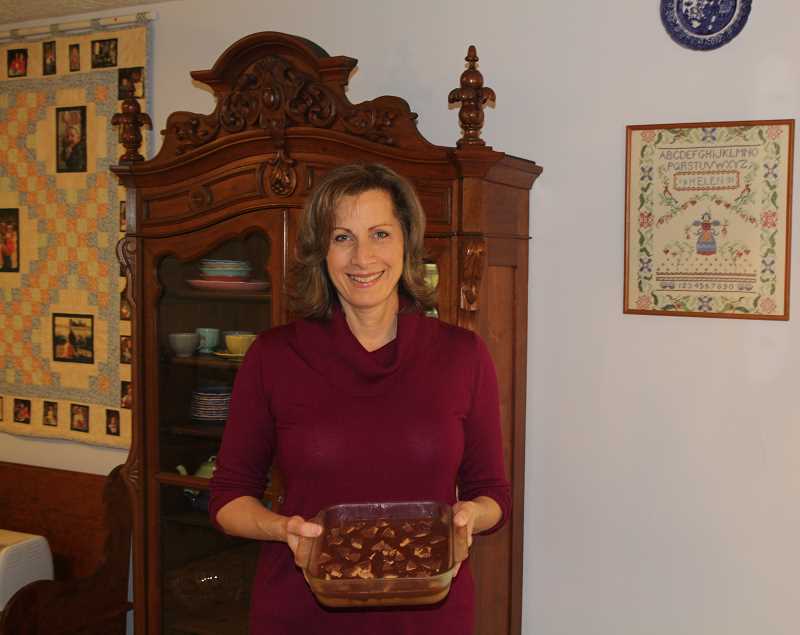 Sweet Simple Desserts Category: Joanna Crumley, Hubbard, Ore., for her REESE's Piece 'O' Bliss Fudge. All of the winners are scheduled to appear on the Food Network show "The Kitchen," in February. Crumley said she will be on the episode airing Feb. 9, and all four winners will be on the Feb. 23 airing. Crumley also flew to Nashville, Tenn., this week to appear on "Pickler and Ben," a talk show co-hosted by singer Kellie Pickler and journalist Ben Aaron. A Pillsbury spokesperson said Crumley will also be featured in an upcoming issue of Food Network magazine and receive a suite of GE appliances and $5,000 in cash. Crumley said she had some local help in developing her original concoction. A friend, Melanie Terrwilliger, and her bible-study group all offered the services of their taste buds to help her gauge which recipe would be the sweetest entry. "That's a tough job, but someone had to do it," she jested. She originally experimented with salted caramel, but then discovered there were numerous entries of that ilk. So she looked at the eight eligible contest ingredients and the 30-minute max prep time and started tinkering. 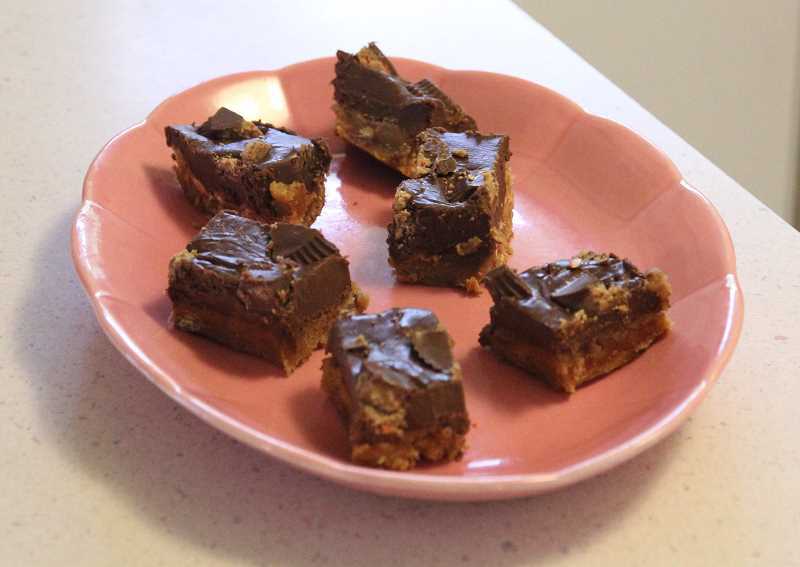 Imbued with recipes that date back to cooking with grandma, elemetary-school age fixings and predilection for a couple of key ingredients -- she loves peanut butter and chocolate -- Crumley was off to a good start. She figured that it would be a nice touch to have a crunchy element and also a creamy one. A few experiments and a bit of input later, and, voila, a winner was created. That winner is now added generations of delectable dishes. 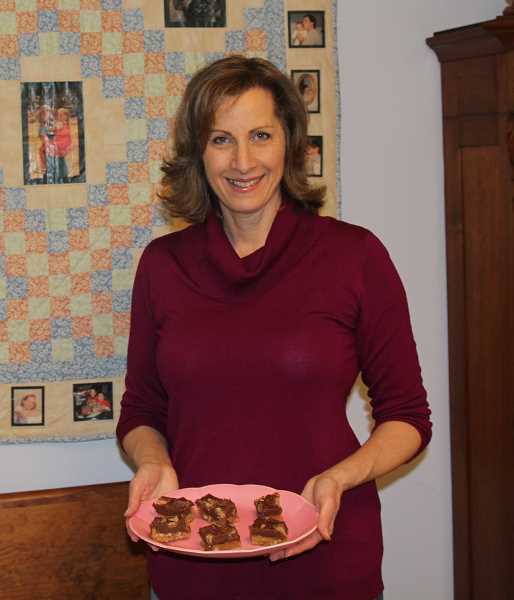 "When it comes to desserts, my family excels at both creating and consuming them," Crumley said. "My mom made the flakiest pies and the moistest cakes I ever tasted, but my absolute favorite, the one that always brought me running, was grandma's fudge." As one of the four category winners, Crumley is now in the running for the Grand-Prize Winner title, which comes with an opportunity to receive a kitchen makeover with GE Appliances and $50,000 cash.